Parvo is a deadly canine virus that infects many dogs every year. There is a vaccine and treatments for dogs who have contracted the virus, as well as, instructions for cleaning up a house or yard after an infection. This is a guide about information about parvo. Question: Do Dogs that Survive Parvo Still Carry the Virus? Once a dog is cured from the parvo virus, does the dog still carry the parvo virus germ? No. According to my vet once a dog has had Parvo they will not get it again. Still need vaccines for other diseases though. I'm not sure about if they still carry the virus, but I do have some info that may help! Go to this website to find out a bunch about the virus... I am doing a presentation on the Canine Parvovirus for my Vet Assistant class! There are ways of curing your dogs of parvo. It may be spendy but it's well worth the try, and if your pets don't have Parvo, take the precautions! Vaccinate your pets. If you see any of the signs, contact and take your dog into the vet Immediately! I hope I could help some. Good luck all, and God Bless! Your pets are in my prayers! 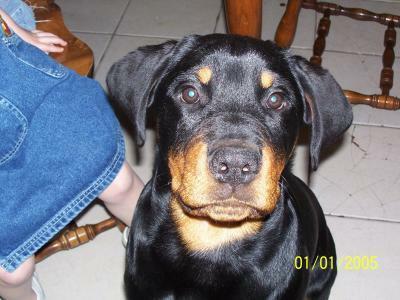 I want people out there to know that if your dog gets parvo and you cant afford to have the vet treat them, which I couldn't for my rott, there is a ways to save them. I did this and I will not lie to you it took 4 days of nothing but care for my dog. Kane was at his last ends with parvo, he had pure blood stool, and vomiting up every bit of water he drank. I couldn't afford the thousands of dollars it took to save him through the hospital, so my vet sent me home with an IV bag that I put under his skin so that he wouldn't dehydrate. They gave me antibiotics that I had to give him orally, and let me tell you they came up a few times so I had to keep shoving them back down his throat till they stayed. I got baby pedialite and every hour on the hour I would fill his cheeks up with this so that he got all the enzymes he needed. Do not try to feed your dog right now, if you know nothing about parvo it is a very painful thing. Their stomach linings are literally being eaten away from this virus, anything acid or fatty will tear them up and make them in more pain. When they start keeping the water down, or keeping most of it down, you can introduce them to some boiled chicken, tear the fat off and let it cool, they may not take it right away, they know when they wanna eat so don't panic if they don't eat for 3 days, Kane didn't eat for 4 days. I know that my dog is a huge part of my life. I don't know what I would have done if I lost him, so if anyone needs any home care information please email me at melissa_shmkr AT yahoo.com. I am far from having a lot of money so my technique was very inexpensive, and Im telling you if my dog made it you can save yours, don't get all down on everything you read, though it might be true fact about the virus, you CAN save your dog with things I bought at the grocery store. Good luck, and I hope everyone's dogs stay healthy. Question: How Does a Dog Contract Parvo? My dog went to the vet's and a dog had pravo. He has had all of his shots. He just got the last one that day. How long before I know if he has it? Question: How Long Is a Puppy with Parvo Contagious? My son recently adopted a puppy that quickly became sick with the parvo virus. He is now home and recovering, but how soon can we have our son visit us with the puppy since we have a dog at home and are concerned he may still be contagious? Wait until your dog is healthy again. Make sure to disinfect with bleach. Keep the puppy out of where the other dog went to the bathroom. It can last in the yard up to a year. Make sure the puppy is fully vaccinated. Question: Does My Other Dog Have Parvo Too? We had a dog die of Parvo. How long do we wait to see if our other dogs catch it? There are areas that saving money by doing it yourself is great , but other times you are asking for disaster. Something like parvo without a vet's help is one of those. 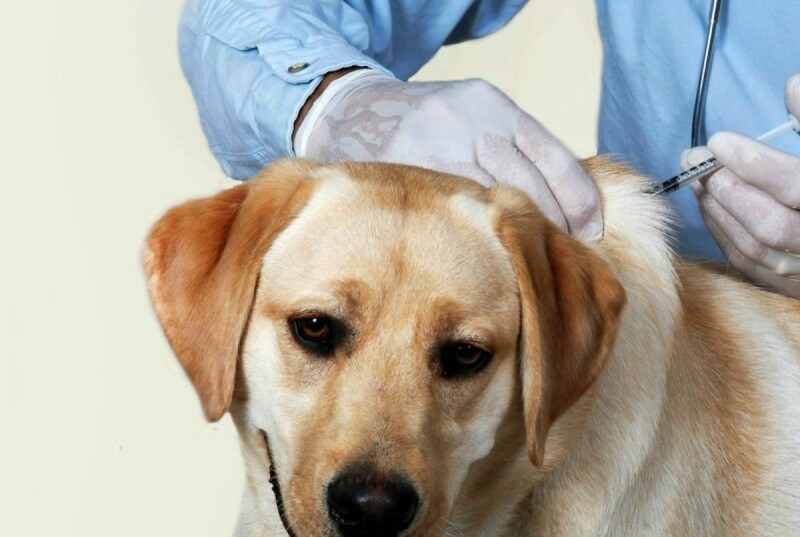 It is great if your vet will help you provide "nursing" care at home by IV and providing equipment and instruction. We had a vet that did that when our old kitty was entering kidney failure. Owning a pet requires saving a little every month for emergency medical expenses that are sure to come up in the pets life time. I am currently fostering a dog that was abandoned at the vet's office when the person found that the dog was going to cost "moneY' . I'm not saying not to try to save money, I buy my pet's medications on the internet and my current vet will price match those prices. Good luck with your dogs. If my dog doesn't have parvo any more, but the virus is in my house if I pet another dog would it get parvo? Oh, please do NOT get another dog until you are sure all of the Parvo is gone. Question: How Parvo Is Transmitted? If I had dogs in my back yard that died from parvo will my dog in the front yard also get it and die? Parvo lives in the soil for up to 9 months to a year, or even longer depending on your weather. Wind can blow it (especially if you soil has little to no grass, or is sandy). The best prevention is to have your dogs vaccinated for parvo before you even bring them home. You also need to disinfect the inside of your home, as your shoes can carry the virus in from the back yard to the front yard. And, if the dogs were in the house, EVERYTHING needs to be disinfected with bleach water. Question: Is There a Home Test for Parvo? How can I test my dog at home for parvo? Question: Can Older Dogs Get Parvo? Is there an age limit for when a dog can get parvo? I have to disagree with renee5774 because older dogs can get parvo. My Lab/Husky mix came down with parvo when she was 6 years old. We had just moved to TN from MN when she came down with it. The vet in TN told me that parvo was common in TN because it doesn't get cold enough to freeze it out in the winter. So my dog spent 6 days in intensive care on IV fluids but she did make it threw it alive. The one and only year that she did not have her shot and this happened. So my suggestion is to vaccinate your dog at all ages! Question: Can People Transmit the Parvo Virus? Can my dogs get parvo off my girlfriend? Her dog has parvo. If so, what home remedy can I use now to eliminate it? People can spread it basically by tracking it into your house or yard on their shoes--it's transmitted through the infected dog's feces. Your dogs shouldn't be around hers--or in her home or yard until her dog gets the all-clear from a vet and she has thoroughly cleaned ( basically everything her dog, your friend and any of her family members has walked on--the house, the yard, interior of vehicles--read the info from the link and you'll get a better idea). This link and a few others recommend cleaning with bleach, even dousing the grass in the yard. The grass will die, but better dead grass than the 50-50 chance of a parvo-infected dog dying. If it were me and I was concerned about my dog having contracted parvo, she'd be off to the vet for a test; there's no cure for parvo, and the best that can be done is basically to have the dog on IV fluids while the virus runs its course. I'm no doctor, and personally would not want to do a home remedy for this--think treatment is best left in a vet's hands. Question: Can Vaccinated Dogs Get Parvo? I was dog sitting three miniature Doberman Pinschers for two weeks, and the 5 month old puppy got parvo and died after I took them home. The mother and daddy dogs are older dogs, and the couple said they were up to date on their shots, but that they were also sick. These dogs were in my fenced in back yard during the day and in a pen at night. I have a Jack Russell terrier who is 9 years old and a Chihuahua who is 10 months, and they are both up to date on their shots. Neither of my dogs are sick and haven't been out of the yard. The couple are blaming me for their puppy dying and their dogs being sick and have refused to pay me. How in the world did their dogs get parvo? I lost an 8 year old dog to parvo shortly after she had received her booster shots which was a 'cocktail' of immunizations including Live Modified Parvo virus. After that I began my own unofficial survey to find out more about Parvo. Every time I heard someone lost their dog to Parvo I asked them when the pet had had it's vaccinations. 100% of them had their shot within 30 days of the dog becoming ill with Parvo. Including a vet who lost most of a valuable litter of pups after she had given the vaccines herself. One pharmaceutical company used to make a Killed Virus Parvo vaccine but vets preferred the "cocktails" of many vaccines in one shot so they stopped making the killed virus vaccine. Too bad because in my unprofessional personal opinion Live Modified Parvovirus vaccines cause a lot of Parvo virus in otherwise healthy dogs. Not all shots will cause the actual disease but it does happen far more than it should! Ask the owner of the dog you watched when it had it's shots and if Live Modified Parvovirus was included. I already know your answer. It isn't clear if these people are personal friends of yours or not. But, since you were taking money for the job, always be sure you have a copy of the animals shot records before agreeing to take them into your home...especially since you have animals of your own. And, again, can you be sure one of these animals you cared for is really dead or that the others are really sick? Consider speaking with the vet who cared for these dogs, and/or getting some kind of written proof from the people who owns them. Dogs often get Parvo from the vaccine. Best prevention of any disease is building good immune system. Diet is very important. Stay out of the grocery store aisles and especially away from any Purina. Parvo cure help lots of times is an enema (where germs are concentrated) with 10 ppm colloidal silver, another enema half hour later. CS in very small amounts (teaspoons full) by mouth very often throughout first days especially. Hydration is imperative as well. Dogs often die of dehydration from the loss of fluids. Stay up all night with liquids to hydrate whatever way you can. C S is from health food/ vitamin store or friend who might have a generator. CS is for viral, bacterial and fungal uses. Well worth looking into. The feedback from Gypsy Swan just about said it all. But to go one step further my instinct tells me you may have accepted other Dogs to care for accepting financial payment and should always insist on owners producing current vaccination certificate as is mandatory in all registered licensed Boarding Kennels. contact the owners Veterinarian and ask for confirmation regarding the animals last vaccination they should have no hesitation in divulging this information under these circumstances. Do not make payment to the owners even if they threaten to take legal action against you because they have to produce evidence the animals vaccination was current when in your care. Good luck (a lesson learned here). ThankYou all very much for all of your feedback. I have never kept anyone else's dogs before this but I agree it is a lesson learned for me. I had worked for these people before doing sitter work for the husband as he is disabled. I can understand them being hurt over losing their puppy, but I was very surprised in their blaming me for their puppy dying. They breed the adults and the puppy was one they could not sell, but I feel that they should have had the pup utd on shots which they did not. My dogs are utd on theirs and so far since they have been exposed, they are not sick and I have taken all the precautions, such as cleaning with clorox and spraying the yard just to make sure. I have not contacted the couple anymore so I dont know if their other dogs got parvo or not. I feel its best to leave it alone and lick my wounds so to speak. Thanks for all of your answers!